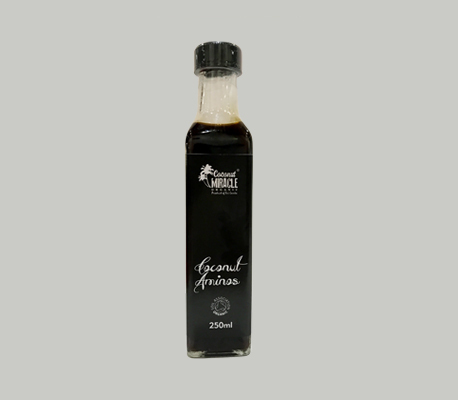 Derived from the raw sap of the coconut blossom and naturally fermented without adulteration, blended with organic coconut nectar, and sea salt and aged until black in colour It is a rich and salty sauce with a slightly sweet flavour and the delicate way of processing means it remains raw. 100% natural, soy-free and gluten-free. Organic, Vegan, Non GMO and Gluten-free. A tasty, 100% natural alternative to soy sauce. Use as a marinade, stir-fry sauce, dressing or general all-purpose seasoning. Coconut sap, coconut nectar, sea salt and nothing else!